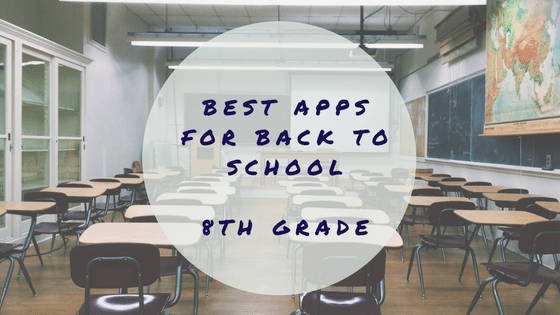 Here’s our list of reviewed and recommended apps for 8th graders. Check out the math, science, and even personal health concepts! Challenge your upper middle school student with these great apps. I Got This: An Interactive Story walks users through a first-person account of a teen who developed type 2 diabetes in an interactive e-book format. The story is told graphic-novel style, with lots of opportunities for interaction. It provides a first-hand look at the illness, its causes, and its management. Khan Academy’s app opens the door to the Khan Academy library of instructional videos and practice activities for thousands of skills from early childhood through the collegiate level. The activities are organized by grade and subject matter, and the search function will pull up specific skills based on keywords you type in. World of the Wild is a simulation game that allows players to participate in various ecology-based activities, including cleaning up oil spills, planting grass, trees, and bushes, and rescuing endangered animals from various sorts of calamities. Each activity is interconnected and earns points that can be used to complete other activities. Extra points can be purchased or earned by taking quizzes about conservation and the environment. Space Agent is a unique and challenging hands-on role playing game that deeply engages players in both mind and body. Players become space agents tasked with the challenge of hunting and capturing invading aliens bent on Earth’s destruction. The problem? The aliens are invisible and must be tracked by sound alone. Capturing aliens requires great hearing and outstanding coordination, not to mention the stamina-the game will give players a great workout in many ways. The game does require headphones. Action Graphing is a hands-on, kinesthetic way to explore concepts related to graphs of velocity. Students studying algebra, physics, and related high school topics can play games and work through several series of lessons about graphing.